Preventing illicit drug trafficking has been described as a primary goal of President Donald Trump’s proposed wall along the U.S.-Mexico border. But the president and lawmakers supportive of the wall are playing fast and loose with the facts to bolster that argument. The congressman seems to be partly borrowing from White House messaging. Trump made the same claim about heroin-related deaths and trafficking. Though it appears to be technically true that a large majority of heroin smuggled into the U.S. travels over the southern border, federal drug enforcement officials have pointed out that the bulk of it is trafficked through legal ports of entry, raising questions about how a wall could combat the trend. Democratic lawmakers have also cited the same data to argue against the wall. Other drugs aside, Yoho’s claim about marijuana is explicitly false, no matter how you slice it. As more states have legalized cannabis for medical purposes or recreational use, border patrol has seen dramatic reductions in the amount of illicit marijuana seized at the border. In fiscal year 2017, U.S. Department of Homeland Security (DHS) seized about 1.6 million pounds of marijuana. That’s about half of what the agency seized in 2013. It’s difficult to say definitively what portion of the total marijuana in the U.S. the DHS figure represents, since it’s still largely an illegal market that can’t be precisely tracked, but it’s certainly not 90 percent. Colorado sold about 665,000 pounds of cannabis in 2017 alone. 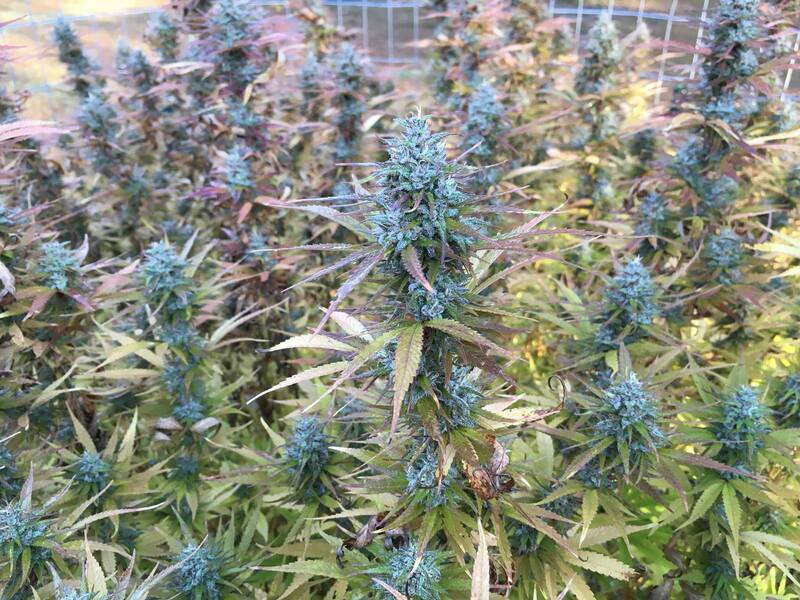 Oregon cultivators harvested 2.6 million pounds of marijuana that same year. “We have 10 states where marijuana has become legal,” he said in an appearance on C-SPAN this week. With respect to Yoho, while he peddled a false claim about illicit marijuana trafficking on the House floor, it is worth noting that he has cosponsored legislation aimed at protecting states that legalize cannabis from federal interference, and has voted for an amendment to do the same.